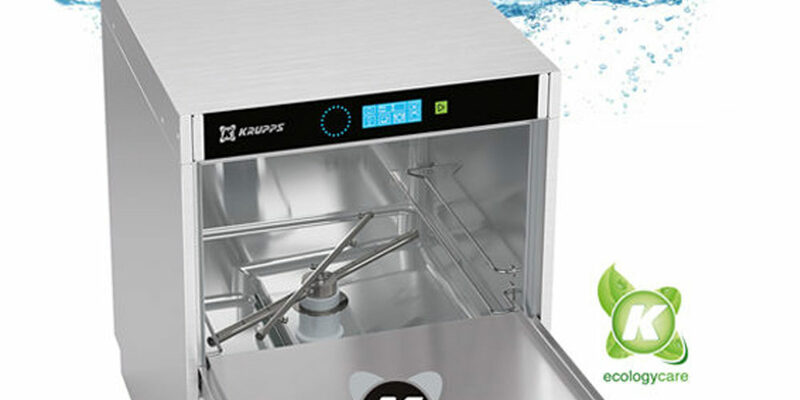 Do you have a Krupps dishwasher in your kitchen? Are you sure you know how to maintain it properly? Performing dishwasher maintenance is important: it is an indispensable machine for a bar and a restaurant that works intensively for several hours a day: every member of staff must therefore look after it to ensure long-term operating efficiency. Maintenance must be performed on a daily basis. The best way to do this is to follow some simple tips and, in particular, the information in the product manual in order to achieve excellent wash results. So, you are now closed, all the customers have gone and your Krupps has also finished washing the dishes. What happens next? Here are the key steps! – At this point disconnect the power supply using the main switch: each ordinary maintenance operation must be done with the dishwasher switched off and disconnected from the mains! – Leave the door or top open for the entire period of non-use. All these operations must be performed everyday; the exterior can be cleaned every 1-2 days, be careful not to use solvents on the control panel. WARNING. Never use acid, ammonia, abrasive sponges or steel sponges and brushes. Only use low-foaming industrial detergent, following the doses suggested by the manual or the manufacturer. Scheduled dishwasher maintenance needs to be performed once a year; this consists of a full check-up by a technician, but do not worry as the dishwasher displays a message when it is due. Always following these tips for your Krupps will ensure you get the best long-term performance! Love your Krupps and achieve flawless results every wash! The cycle of cleaning must be on usage i think. As you have mentioned that it should be daily, which is approximately correct for most of the cases. The blog is well written and informative, great efforts! !